Rick Newcombe accomplished what most industry analysts considered impossible: He founded the first successful independent newspaper syndication company in two decades -- only the second major independent syndicate started since the 1930s. Newcombe established Creators Syndicate in 1987. The company has represented some of the most popular columnists in the world, including Ann Landers, Hunter S, Thompson, Bill O’Reilly, John Stossel, Thomas Sowell, Susan Estrich, Walter Williams, Mark Shields, Michelle Malkin, Hillary Clinton, Mona Charen, Robert Novak, Patrick Buchanan, Froma Harrop, Connie Schultz and dozens of others. In addition, Creators Syndicate’s comic strips include B.C., the Wizard of Id, One Big Happy, Speed Bump, Ballard Street, Rubes, Agnes, Dog Eat Doug, Heathcliff, Zack Hill, Momma, Andy Capp and Archie. Creators Syndicate’s editorial cartoonists are known for winning more Pulitzer prizes than any comparable company, and they include the legendary Herblock, Mike Luckovich, Michael Ramirez, Steve Breen, Gary Varvel, Chip Bok, Steve Benson, Paul Szep and John Deering. Creators Syndicate also dominates in the lifestyle category with horoscopes by Holiday Mathis, and advice from Dear Annie. Creators Syndicate is a multimillion-dollar corporation that has been operating in the black since 1989. Dozens of new syndicates are started every year, but other than Creators Syndicate, the only successful independent syndicates founded in the past 50 years have been Universal Press Syndicate in 1970 and the Hall Syndicate more than half a century ago. With the newspaper industry in a period of reorganization because of competition from other media, most experts thought it impossible to start a successful new syndication company in recent times. But Newcombe believed that with his enthusiasm and knowledge of the business, he could put together the best staff in the industry and attract top talent by offering them freedom in their contracts. He also believes that "content is king" and that the future is unlimited with digital delivery. Prior to founding the company, Newcombe served as president of News America Syndicate, which was the third largest syndicate in the world and at the time owned by Rupert Murdoch. Before joining NAS, Newcombe served as vice president and general manager of the Los Angeles Times Syndicate from 1978 to 1984. A Phi Beta Kappa graduate of Georgetown University, where he was one of the founding editors of The Georgetown Voice, Newcombe worked as a reporter and editor at UPI for four years. He also studied for his MBA at the graduate business school of the University of Chicago. Prior to college, Newcombe was one of the first graduates of the college preparatory school La Lumiere, in La Porte, Indiana, a few years before Chief Justice John Roberts. Over the years, Newcombe has syndicated many celebrities, world leaders and well-known journalists, including Pope John Paul II, Ann Landers, Richard Nixon, Hillary Clinton, Jimmy Carter, Nancy Reagan, Henry Kissinger, Erma Bombeck, Art Buchwald, Joyce Jillson, Jeane Dixon, Sydney Omarr, Carl Rowan, Dan Quayle, Oliver North, Sheinwold on Bridge, and editorial cartoonists Herblock of The Washington Post, Paul Conrad of the Los Angeles Times, Bill Mauldin of the Chicago Sun-Times, Ranan Lurie and Pat Oliphant. He has syndicated the comic strips Dennis the Menace, Mark Trail, Sally Forth, Crock, Star Wars, Star Trek, Batman, Teenage Mutant Ninja Turtles, Zorro, Judge Parker and Mary Worth. A native of Winnetka, Ill., Newcombe grew up in a newspaper family. His father, Leo Newcombe, served as senior vice president for the newspaper division of Field Enterprises. He also was business manager and later general manager of the Chicago Daily News and the Chicago Sun-Times. 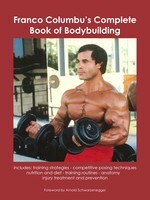 Newcombe’s primary hobbies are bodybuilding and pipe collecting. 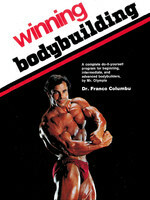 He co-authored the book, The Businessman’s Minutes-a-Day Guide to Shaping Up with Dr. Franco Columbu. 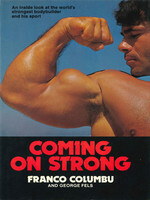 At the time he helped write the book, Newcombe was working out regularly at the old World Gym in Santa Monica alongside Arnold Schwarzenegger, and he was featured in the April 1992 issue of Muscle & Fitness magazine in an article called “Muscling in on Success.” He is currently writing a book about bodybuilding as the key to a long and happy life. 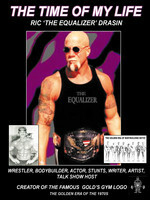 He contributed to the book, Shoulder Pain? The Solution and Prevention, by Dr. John Kirsch, a highly respected orthopedic surgeon. Newcombe’s other hobby is collecting rare pipes that reflect Old World craftsmanship. 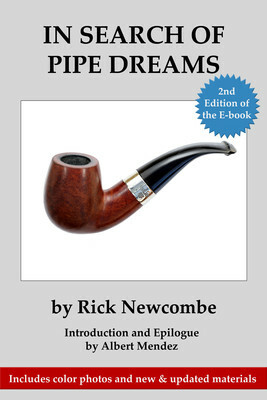 His interest has led him around the world in search of the finest craftsmanship available, and he has written two books, In Search of Pipe Dreams and Still Searching for Pipe Dreams that are both bestsellers in the pipe world and have been translated into Chinese and German for published editions in those countries. They are also available as ebooks and audiobooks in English. In 2009 his son, Jack Newcombe, joined Creators and is building a digital media company to complement the core syndication business. Creators Publishing offers dozens of ebooks and many audiobooks. One of Rick Newcombe’s pet projects is to revive the works of the 19th century bestselling author Horatio Alger. Creators has published a dozen of Alger’s books as ebooks, and they include reviews, teacher’s guides, commentaries, a biography and other information related to what they are calling Alger’s “Stories of Success." Newcombe said he has studied success and motivation his entire life, and in his 60s he says the principles of success are not new but they do work. He says that success in life results from setting challenging goals, assuming only positive results, and being disciplined in one’s work in order to turn dreams into reality. “But the main point,” he says, “is to hang in there — never give up. If you do, you’ll miss 100 percent of the shots you don’t take."